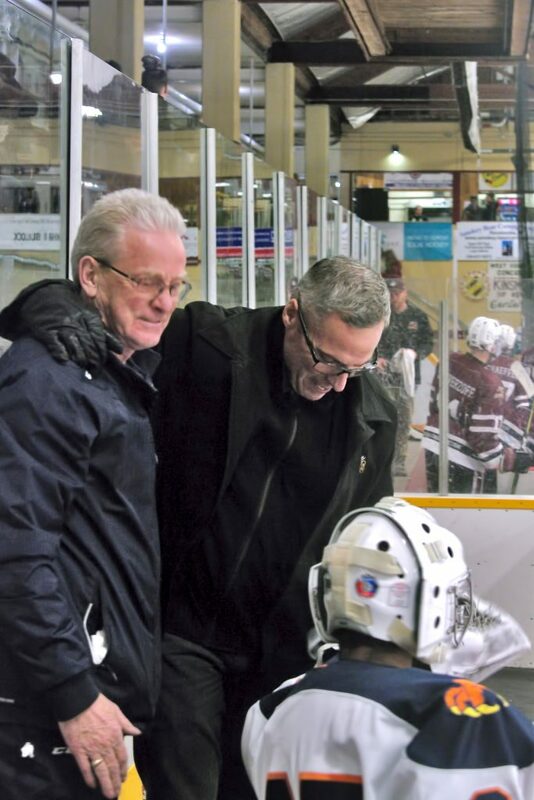 Although it was a few hundred kilometres away, Beaver Valley Nitehawks supporters finally celebrated coach Terry Jones’ 1,000th win behind the Nitehawks bench. 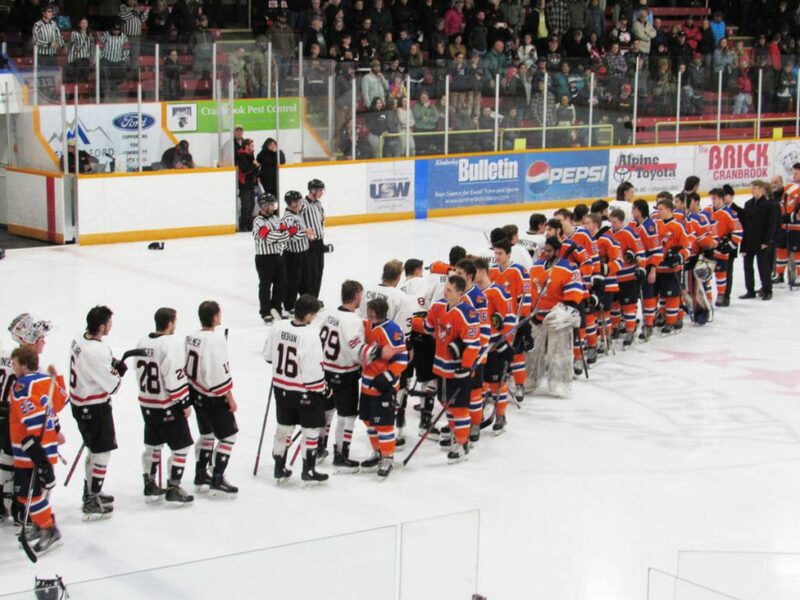 After two previous failed attempts at home against Grand Forks and on the road in Kimberley, the Nitehawks defeated the Revelstoke Grizzlies in Revelstoke on Friday night, 5-3, to clinch the milestone. “Before the game (B.V. trainer) Tom Meakes and I talked and it just felt like it was going to be the night,” said Jones. 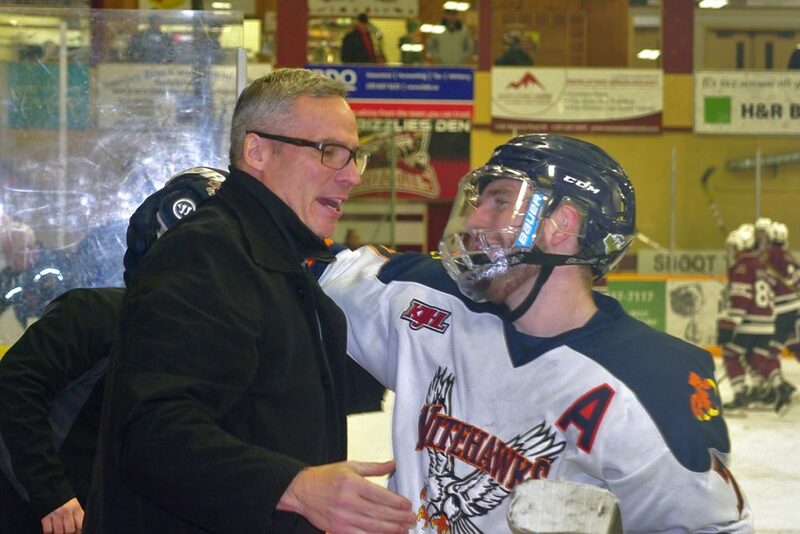 Meakes has been on the journey with Jones every step of the way, joining the Nitehawks as a trainer in 1996, the same year Jones started coaching. Meakes announced at the beginning of the season that he would retire from his position as Nitehawks trainer around Christmas time. 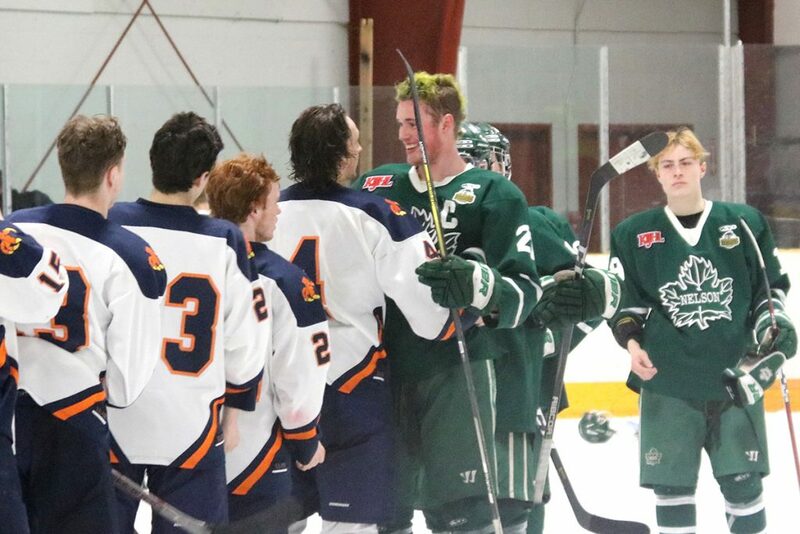 Following Friday’s game, Jones received hundreds of texts, Tweets, Facebook shoutouts, and phone calls from supporters across the globe in recognition of a benchmark unmatched in Jr. B hockey. While the milestone went unrecognized by the Revelstoke franchise, for Nitehawks’ players getting the win was critical, and although the pressure was mounting, they looked forward to being a part of history in the making. 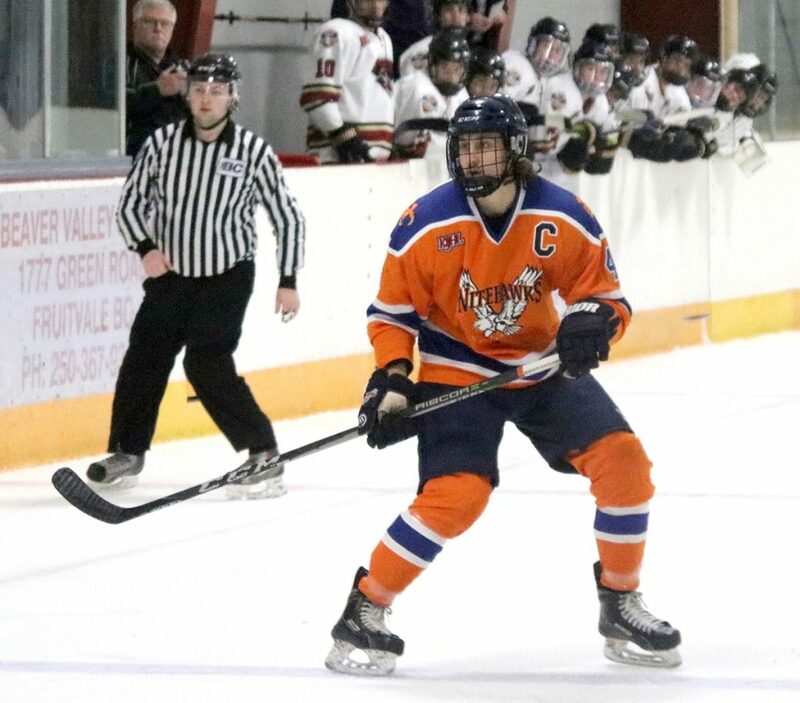 In Friday’s match, the Nitehawks fell behind 3-2 with 15 minutes left in the third period, but Ryan Crisalli scored on a power play to tie it at 8:47 and Bradley Ross netted the winner less than 30 seconds later. Raymond Speerbrecker gave Revelstoke a 1-0 lead 46 seconds into the game, but Jared Stocks tied it on a setup from Cole Gibson and Marty Ingram at 13:31 of the first period. The teams traded goals in the second, with Angus Amadio putting B.V. up 2-1 at 18:01, however, Ryan Pereverzoff tied it on a power play at 11:43. Four straight penalties by B.V. in the middle frame gave Revelstoke ample chances, but only one shot beat Hawks goalie Noah Decottignies who stopped 25 shots in the period. Jaden Hay put the Grizzlies up 3-2 at 15:48 of the third, but Crisalli’s and Ross’ goals 23 seconds apart put B.V. up for good, as Michael Hagen iced it on an unassisted effort with 1:17 to play. Jones, a 52-year-old educator, started his next 1,000 with a 3-2 victory over the Chase Heat on Saturday. The two victories also lifted the 12-10-2-2 Hawks into second place in the standings, two points up on Spokane and nine points back of the Murdoch Division leading Nelson Leafs. The Hawks held a 3-0 lead on goals from Luke Recchi, Paul Leroux, and Ross, and almost let the Heat back in it as Evan Vinterlik and Tyson Lampreau scored back-to-back goals to cut the lead to 3-2 early in the third, but couldn’t find the equalizer. For Jones, the 1,000th win is indeed an achievement, but perhaps it’s even more symbolic of a hockey life well-lived. There was no incentive clause for the coach, no prizes or payouts. 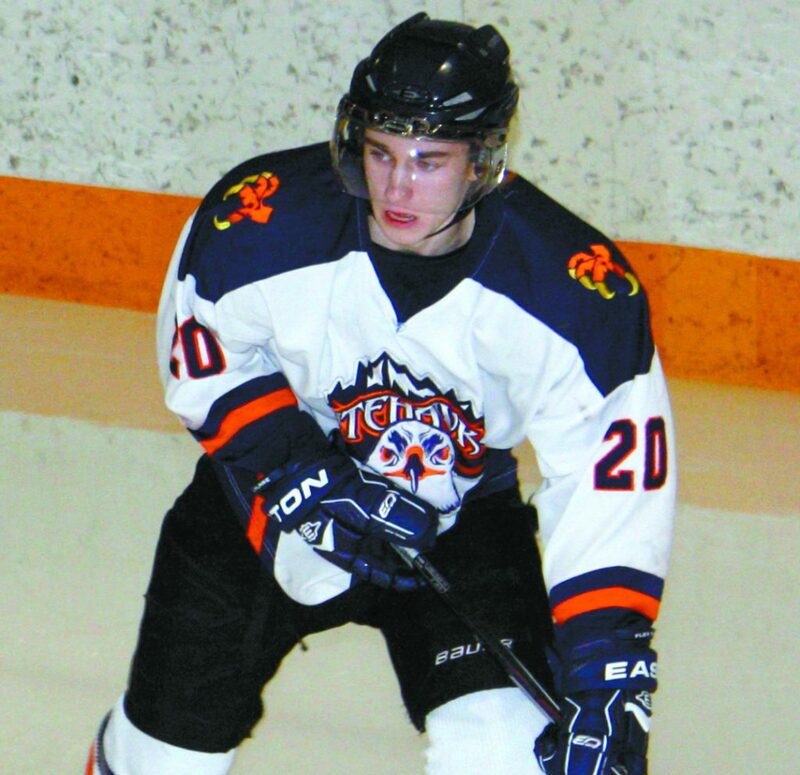 The game against the Grizzlies was another win in a unique Jr. B coaching career that spans two decades, close to 1,500 games, eight KIJHL championships, four Cyclones and a Keystone, not to mention the countless bus rides, practices, players and coaches that joined Jones for the ride and shared in the highest of highs and some tragic lows. Jones represents everything that is good in hockey. For him it’s about family, the Nitehawks family, and a focus on hard work, commitment, understanding, support, selflessness and grace, and 23 years of making a difference in young men’s lives. One-thousand wins, a mark that won’t be beat – and a legacy that is still unfolding. The Nitehawks travel to Grand Forks for a division tilt against the Border Bruins on Friday, and return to the Hawks Nest on Saturday for a game against the Creston Valley Wildcats at 7:30 p.m.